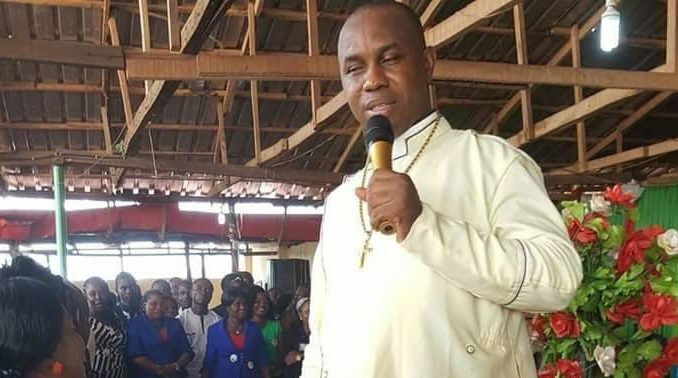 The Enugu State police command yesterday said it has arrested the General Overseer of the City of Liberation and Comfort Ministry, Bishop Ginika Obi, for allegedly swindling his members to the tune of over N500 million. His ministry, located on Enugu-Port Harcourt highway, became a beehive of activities last year as people from various walks of life, especially miracle seekers, trooped to the church. But the place became a shadow of itself after it was discovered that the NGO he floated to lure members into investing on the guise of reaping “bountiful dividends” was aimed at defrauding them. When he was caught in his tracks, the Unuaku Uli self-acclaimed preacher ran away, abandoning his church and members. He was, however, arrested at a hotel in Enugu at the weekend, where he was said to be taking refuge. Obi had used his NGO, ‘Build Your Generational Organization’ to allegedly defraud his members and other unsuspecting members of the public of various huge sums in the hope that they would reap bumper financial dividends after some time. The cleric, however, said he never knew his financial NGO would turn out this way. He disclosed that the amount he defrauded is not up to the sum of N500 million but N186 million.